Who likes to try out new pickups? Of course you do! Don’t we all?! When the replacement pickup business fired up in the 1970s, it was just people using a spare room or some space in the garage. The passion for the art meant more than anything. And while a couple of those tinkering wizards became part of the corporate machine, the home brew pickup makers are the ones keeping the tone seekers on the path to find their sonic voices. That’s what we’re looking at today with a humbucker set from Thomas The Winder. Thomas has perfected his secret sauce for an exquisite vintage PAF-ish humbucker set. His hunt for great tone has even led him to a 1960s Leesona winder! How awesome is that? Thomas asked if I’d like to check out what he’s been working on? You betcha! They are super impressive upon arrival. Long mounting legs, butyrate bobbins, 42 AWG plain enamel, vintage braided lead wires, wood spacers, metal keeper bars, 49.2 pole spacing, roughcast Alnico magnets, paper tape, and unpotted. This set goes in one of my double-hum test guitars, outfitted with 500k Bourns pots, 3-way Switchcraft toggle, and Switchcraft output jack. Super simple installation and we are off and running. The neck humbucker is lush and sweet. Very full-sounding with lots of presence. Plenty of buttery solos going on here. A really warm response on the clean amp channel. If you have an overly bright guitar or if you like velvety smooth neck tones, look no further. 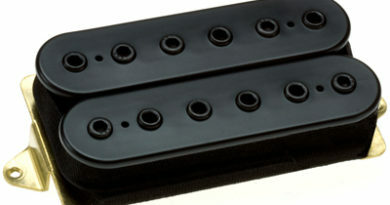 When in the bridge humbucker mode, Thomas has deftly captured all the hallmarks of a great PAF humbucker. A clear, responsive character with a very well-balanced tone. Slightly woody and a touch of punch with a dirty amp setting. Lots of chime and snap when on a clean channel. For an unpotted set, I had no issues with unwanted feedback. And I’m talking about the same levels at where some mass-produced potted pickups do actually feedback on me. In fact, this set from Thomas has a very cool quality that can let just the slightest bit of harmonic feedback cross-fade in with the decay of a held note. My thoughts are that part of that comes with the truly delightful mechanical noise that is part of a pickup not stifled within a brick of wax. LOL! Not to get off on a rant, but you guys should have seen the metric ton of potting beneath the cover of a big name pickup from just this past week. HaHa! Alright, so here’s the bad news. And I know this sort of thing triggers a few of the sonic snowflakes. LOL! Thomas has yet to get any official sound clips or video demos out there for your eyes and ears. What that does mean is that you can be on the leading edge when you get your set and upload your findings on YouTube! Of course, I do have some specs for you. 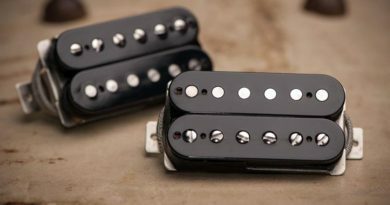 The pricing (including shipping) that Thomas has going on is a heck of a smoking hot deal for boutique vintage-style humbuckers. 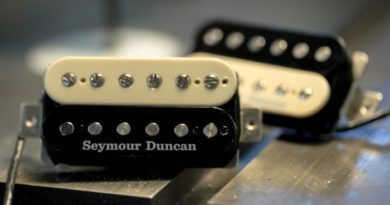 In a day and time when Tone Sniffers are willing to pay $400-600 for a set PAF-type humbuckers, people should be crashing Thomas’ inbox with messages. 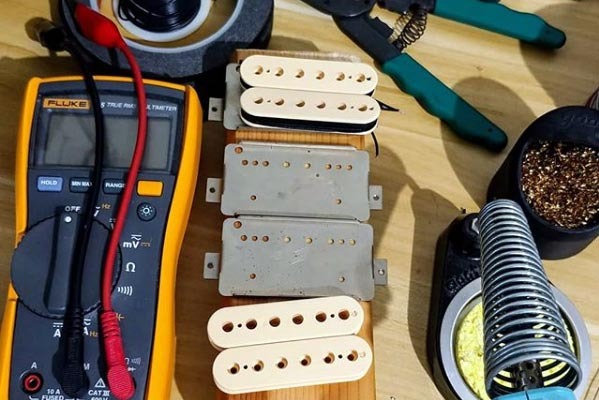 You can contact Thomas via his Instagram page, where he keeps viewers updated with drool-worthy images of his humbuckers in various stages of progress. For reference, this Thomas The Winder humbucker pickup set evaluation was conducted with a Fractal Axe-Fx II XL+ featuring Celestion Impluse Responses and Fractal MFC-101 MIDI Foot Controller. Real cabs used were Marshall 1960B cabs loaded with Celestion G12-65s, Vintage 30s and G12M Greenbacks.